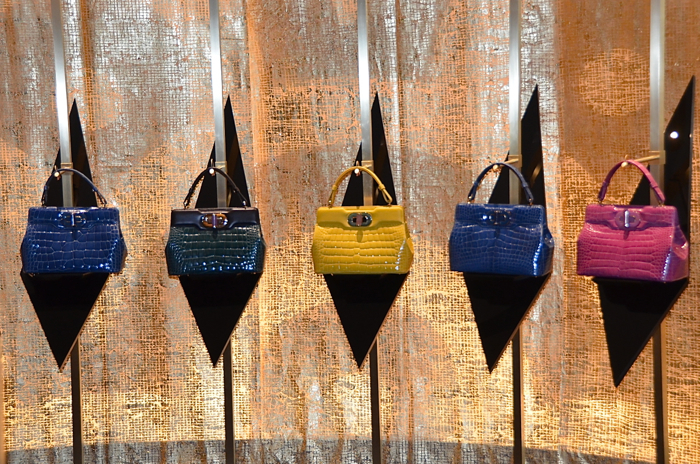 If you were wondering what multi- colored exotic bags are lined up on the banner of my blog, they’re all by Bulgari. Let me tell you a wee bit more about them because I didn’t realize I actually have not written up about them at all since I first saw them! *Smacks head*. Pardon me, I’ve not only been remiss of late (been busy with Spring cleaning and editing the whole house– I have not done this in years so you can imagine how much editing needs to be done haha), I’ve also become quite a forgetful hag (fine, let’s chalk it up to age lol)! 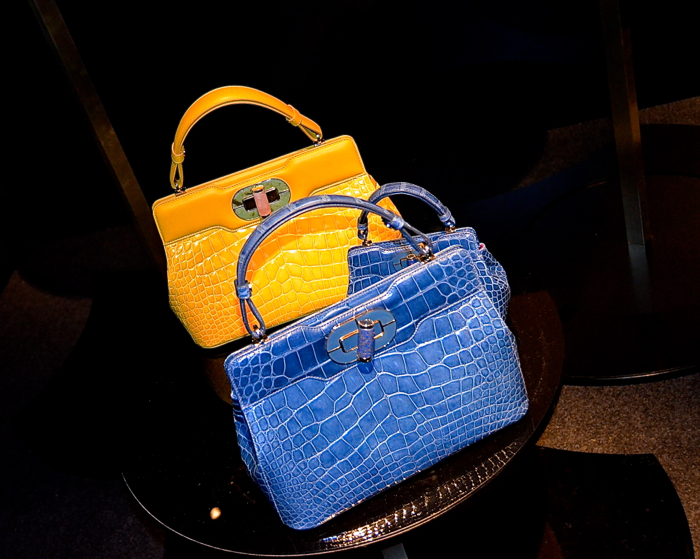 Anyway, the beautiful and colorful exotic top handle bags are yes, by Bulgari. The brand is known more for its beautiful and jaw- dropping jewellery as well as bejewelled watches that adorn the necks, ears, wrists, and fingers of many a celluloid star and of the wealthy. 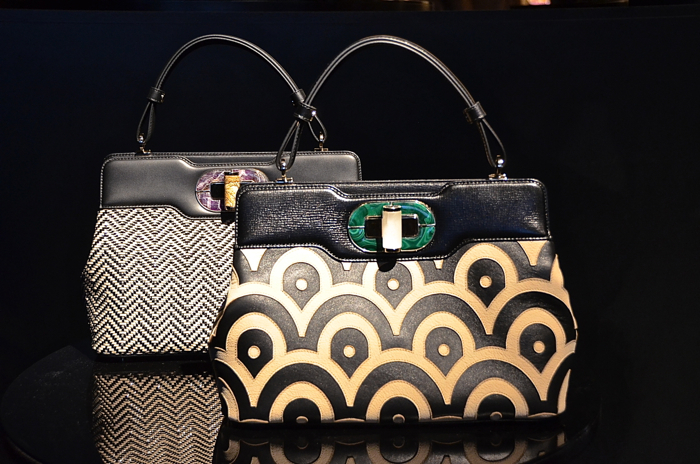 And then, Bulgari created handbags. Truth it be told, Bulgari is not really as known for their handbag collection as their jewellery and watches. At least not yet! But personally, the clutch bags (the Serpenti in particular) of Bulgari had already left a very good impression on me. And then just this season, I saw the exquisite collection of the label in collaboration with a fashion and celluloid icon, Isabella Rossellini. 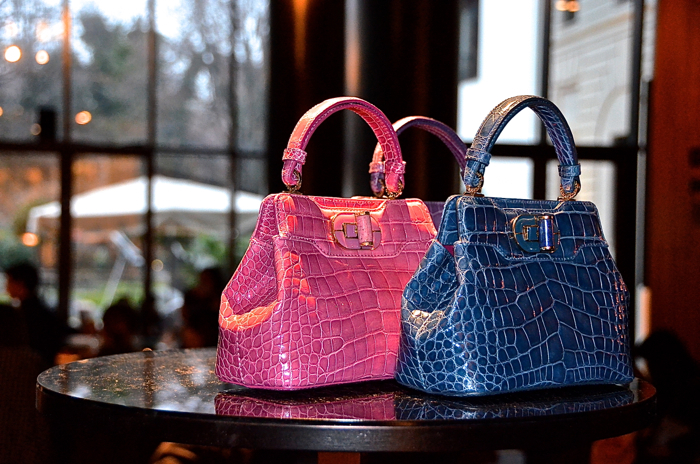 The alligator skin Isabella bags are my favorite– each one is so striking. When I first saw them from afar, I was already singing praises about them. And then I closely inspected each bag. Suffice to say, the bags have really won me over. I have come to conclude that Bulgari is really able to successfully fuse their expertise and know- how in jewellery with handbags. 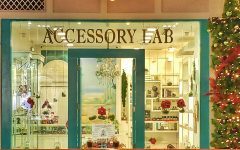 Special attention was paid to each bag– from the carved stone clasp (made from hard stones like lapis lazuli, malachite, amethyst, or rose quartz among others) to quality of the alligator skin which leaves each bag gleaming in the light. 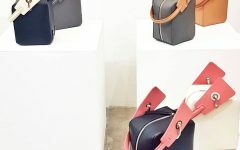 The Isabella bag comes in different sizes too. I’m particularly fond of the smaller one as it would make a very nice evening bag (a nice alternative to a clutch or a minaudiere). I think these exotic Isabella Rossellini x Bulgari top handle bags can give the Hermes croc kellys a run for their money 😉 I really, really find them so pretty! !